Underworld: Blood Wars star Kate Beckinsale said the team wanted Blade to show up for some sweet bloody action, but Marvel’s plans for the famous vampire hunter got in the way. During the film’s New York Comic-Con panel, Beckinsale was asked whether an Underworld crossover with Blade was possible. She said that they wanted to, but it can’t happen because “they,” meaning Marvel, are already working on something with the character. We’ve been hearing whispers of a Blade reboot for over a year now. Back in July 2015, the original Blade, Wesley Snipes, reported that he’d had a productive meeting with Marvel about the franchise. Since then, rumors have been flying about a new film or Netflix series. None of them are particularly reliable, but it’s been over a decade since Blade: Trinity. At this point, we’ll take just about anything. There’s a shaky rumor that the franchise could focus on Fallen Grey, the 16-year-old daughter of Blade from Marvel’s “All-New, All-Different” series. That would allow Snipes to come back to the role without having to serve as the main character. 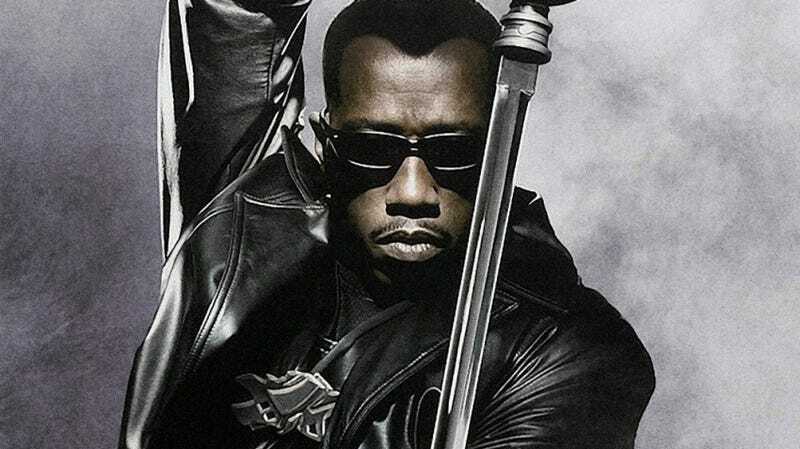 Snipes has said he’s down for a new Blade film, tweeting in May that the ball’s in Marvel’s court. If Beckinsale’s right, they might already be playing.